Items 92- out of displayed. Can DAX Join A US Stocks "Mania Cycle" ? German Dax and S&P500 are in negative correction for the last few weeks; with US market trading at all-time high while DAX lost nearly 7% since June 20th high. Technically we see US markets entering into bullish mania phase with DJIA breaking above the upper trendline of an EW channel. 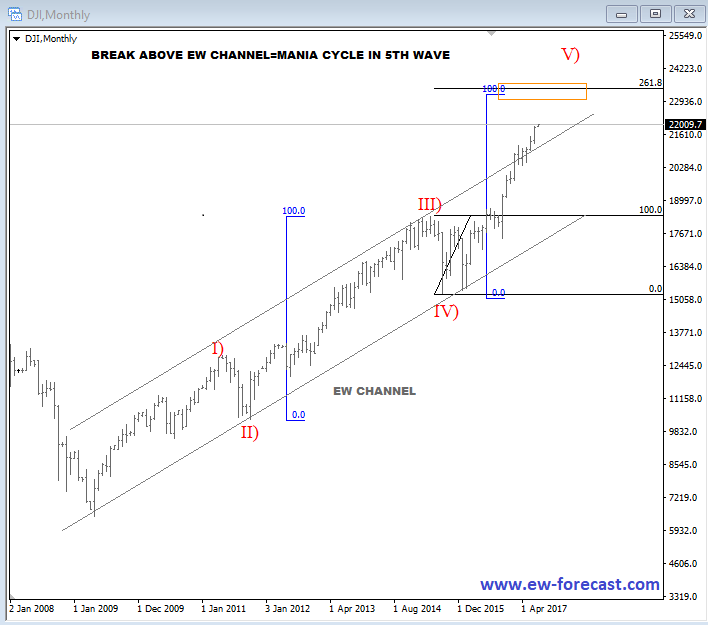 We may see fifth wave rally to continue up to 24000-25000. Mania cycle is also confirmed by Charles Schwab reports that clients opened the highest number of brokerage accounts in the first half of 2017 since 2000 as highlighted in article by ZeroHedge (Click here). Keep in mind that from 2000 peak DJIA lost nearly 40% in two years and S&P500 fell nearly 50%. However, I don’t think that top is near yet, as EW model appears incomplete; it suggests more upside in coming months. So if we go back to DAX and US markets correlation, I think that Dax can see more upside and join the mania phase as well while DJIA is trading towards projected levels. In fact Dax came down in three waves to fill gap around 12000, which can prove out to be a good support area. Break above the upper channel resistance line can be an important evidence that European and US markets are going back into positive correlation. 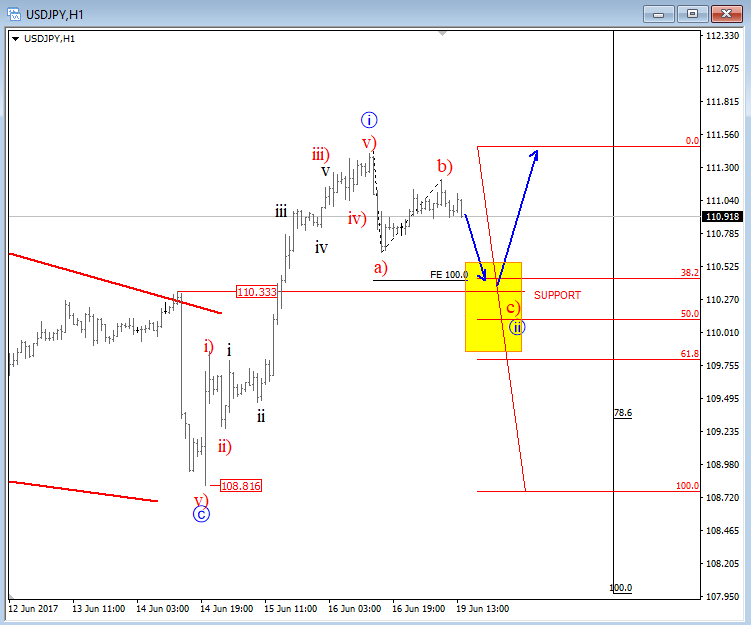 Higher DAX should also impact the EURUSD moves. BTCUSD fell sharply this weekend, and continued lower as expected following a broken triangle that we have recognized in wave B. There was a five wave move lower into wave C that now show evidences of a bottom at the lower side of a corrective channel; around 1800 level which was also a support of a former wave four. So far there is a strong upward reversal from that levels; clearly an impulsive reaction that can take price much higher in days ahead. A break above the upper channel line may be a final confirmation that three wave A-B-C decline is complete and that new highs are back in the cards; 3000. Today I will give you an update on NASDAQ100 wave count that we tracked it on twitter a few weeks back. We were looking for a deeper set-back which unfolded in three waves. So question is whats next? 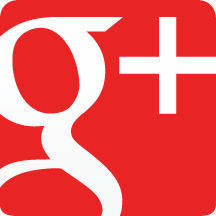 See video for my view. 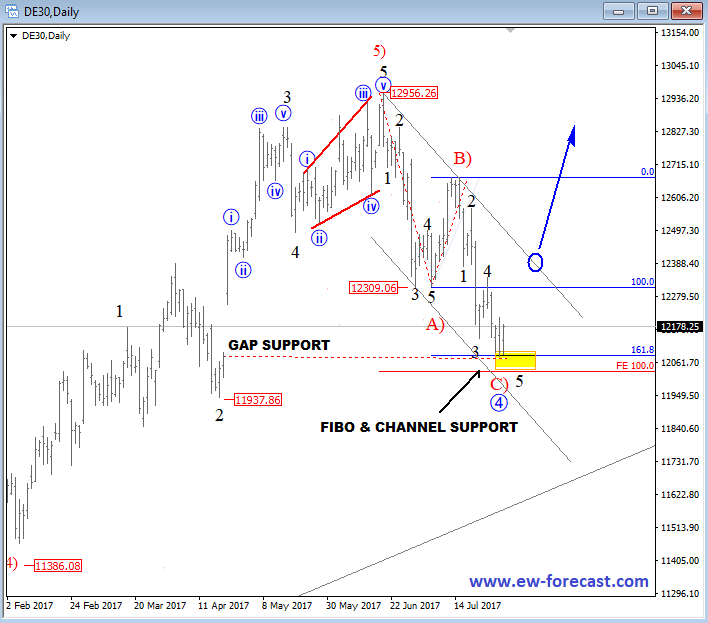 In today's post I want to take a look at USDJPY more closely which I believe has some very interesting pattern unfolding since last week. What really caught my eye is that move up from 108.80 area that occurred for a second time from that important »Gap Zone« made in April. These gaps will normally act like a magnet to be filled, and once they are a new turn may occur. And this is exactly what we see on 4h chart. In fact, bounce occurred very aggressive from 108.80 last week and took out a channel resistance line connected from 114.37. 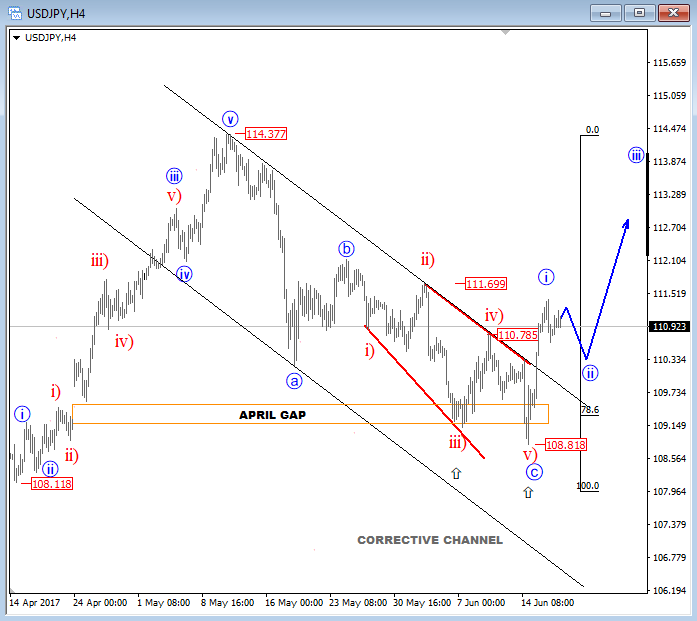 Normally that’s indication of a change in trend, so I expect higher USDJPY especially if we consider the Elliott Wave look which shows a potential completion of a corrective set-back from May high. Reason for a bullish view is also an impulsive bounce on hourly chart which shows nice zone of support for this week around 110.00-110.50 zone. EURUSD touched a new high yesterday ahead of FOMC press conference but then it turned sharply lower from 1.1300 area that we highlighted it as an important resistance a few times in our past updates. Notice that fall again came from that 1.1300 »Trump level«; a spike from November when Trump won US presidency. An updated count shows an ending diagonal on 4h chart; a powerful reversal pattern that can cause a strong drop in the rest of the month. So technically speaking, it appears that euro can see deeper levels now, especially if we consider that three waves down minimum should be seen. From a trading perspective, I will pay attention to that red broken trendline that may turn into a nice resistance on a pullback, after wave 2)/B). 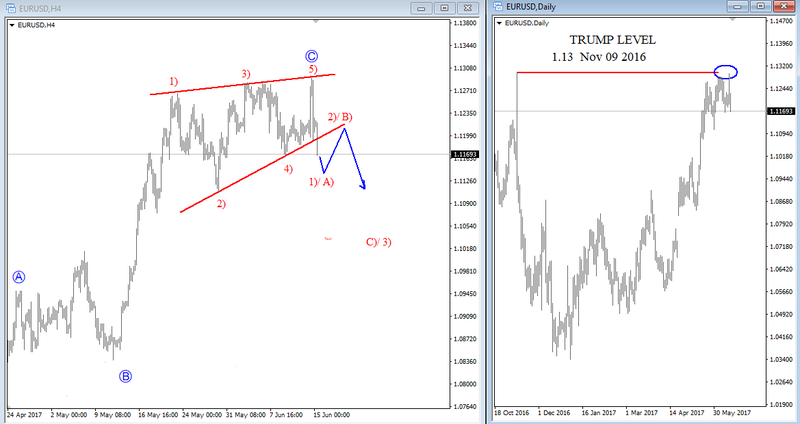 USDCAD On The Move: Video Analysis! At the start of the month I paid attention to USDCAD and highlighted a bearish pattern. 10 days later pair is trading much lower.